The bad news is, some popular urinary tract infection prevention methods like cranberry juice are not actually effective.1 The good news is, you don’t have to throw out your thongs and tight pants! Read on to discover the truth about urinary tract infection prevention myths. Depending on how much you like cranberry juice, this may be music to your ears. You mean I don’t have to chug cranberry juice anymore? That’s right amiga, no more sour face for you. It’s 2018 and cranberries are OUT as a UTI prevention method. I know, I know, there are some studies out there that claim cranberry products effectively prevent UTIs by changing the pH of your urine, making it less hospitable for bacteria. HOWEVER most of those studies are over a decade old, funded by cranberry juice seller OceanSpray, and too small, isolated, and irregular to be taken seriously. Who doesn’t love getting in the hot tub on a cold winter evening? Lucky for you, hot tub-goer, there has been no proven correlation between hanging in the tub and contracting a urinary tract infection. While popular myth suggests that bodies of water can be a cesspool of swirling bacteria just waiting to chow down on your lady bits, there is no evidence that’s the case.2 If you really want to be on the safe side, though, just make sure your tub is clean before you use it (d’uh). Don't feel like hopping out of bed to jump on the john directly following a hot sesh under the sheets? Yeah, me neither. Guess what? This is one more thing you don't have to worry about anymore. While it’s generally recommended by doctors as “a good idea” (especially because it's low risk and won't have any adverse side effects *cough* antibiotics *cough*), it is not proven to prevent recurrent UTIs.2 So relax, lay there all you want, peeing is unlikely to change your outlook for rUTIs. I see you there, sipping on your diet coke and rum. You’ve had a long day at work—a long week, really—and you deserve to relax and let loose. The good news is, you can have your drink and no UTI, too. While caffeine, alcohol, and carbonated drinks have been found to be bladder irritants—a pain especially for those with overactive bladder symptoms—these beverages will not actually cause a UTI.4 They may exacerbate an existing one, however…but if you’re on antibiotics to fix that active urinary tract infection, you probably shouldn’t drink alcohol anyway. Everything in moderation, of course. Keep in mind that some caffeinated drinks like coffee can change the smell of your pee, a symptom of UTI. Don’t panic! Just think back to the last thing you ate or drank. If you’re not experiencing any other symptoms of UTI, it’s probably nothing. Be sure to discuss with your doctor if you are concerned or if more symptoms develop. Who hasn’t sat through an extra hour of a car ride squirming in their seat because they don’t want to take the extra time to stop and pee? Painful as that can be, there is no research to suggest that holding your pee too long will lead to a urinary tract infection. One study of unhealthy urinary retention in adults determined that urinary tract infection can lead to unhealthy urinary retention because of pain or swelling in the urethra.5 It's a bit of a chicken and an egg scenario. 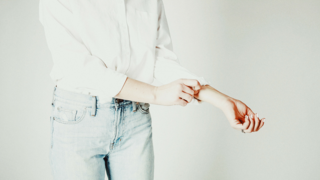 UTIs can cause you to have pain and urgency, making it more uncomfortable for you to hold it it. If you have a condition where you cannot fully void your bladder (this is different from choosing to wait to void), the retained urine can provide a hospitable environment for bacteria to grow, which can lead to infection. But the bottom line is, waiting a little bit longer to relieve yourself is not going to give you a urinary tract infection. If your physician suggests you’re not wiping front to back, you have my full permission to roll your eyes. Really? You’re questioning my basic hygiene? Give me a break. Yes, it’s true, one of the biggest risk factors for recurrent urinary tract infections is frequent sexual activity. 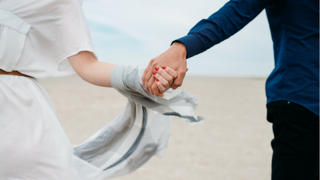 However, you don't have to be celibate to avoid UTIs. Make smart decisions with your sexual health to mitigate the risk. Make a plan with your doctor and discuss your birth control options. Do your best to take care of your body and your immune system. Drink plenty of fluids and get lots of rest. Get your blood tested to see if you have any immunodeficiencies and correct them with vitamins as recommended by your doctor. Antibiotics promote biofilm development, making your UTI even harder to treat the next time around. But until we find another UTI cure, we’ll have to focus on prevention. Doctors will often recommend continual antibiotic treatment for UTI prevention as well as treatment. The more our bodies are exposed to antibiotics the more we’ll have the above problems. 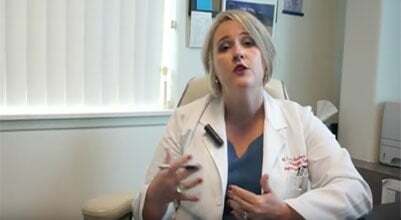 How Can I Prevent My Recurrent UTIs? The second most, and equally important prevention tactic, is taking d-mannose daily. In one study, researchers found women with recurrent UTIs who took 2 grams of d-mannose a day had fewer UTIs than women taking Macrobid everyday. And there’s none of the side effects that antibiotics cause! D-mannose is a type of sugar found in berries and other fruit that attaches to harmful bacteria to keep them from attaching to your urinary tract and bladder. Combined with extra fluid intake and it’s a one-two punch that’s been scientifically proven to prevent your urinary tract infection before it begins. Where Do I Find D-Mannose? 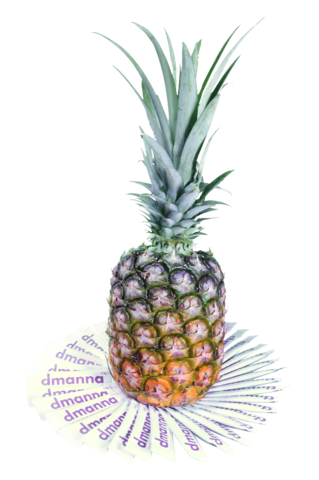 Have you heard about Dmanna? Its main ingredient is d-mannose, and it’s pre-measured and packaged to make your life easier. Just stir it into a glass of water or other liquid and drink on the daily. Raise your glass to Dmanna, the natural UTI prevention tool you didn’t know you needed. Click here to find out how to get your UTI-fighting daily dose of Dmanna.